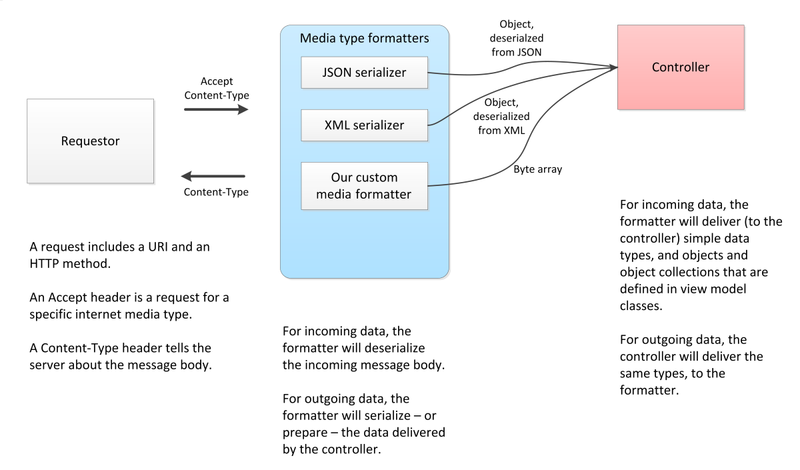 Working with internet media types (other than JSON and XML). Test 3 is today, at the beginning of the class timeslot at 11:40am. Soon, another code example, MediaUploadAndDeliver, will be posted, and we’ll discuss that in the Thursday class/session. The ByteFormatter folder has a fully-working and complete media type formatter, built with the instructions that you will read below. Well, a web service obviously does not have an HTML Form. Therefore, accepting a media item must be done as an atomic and specialized task. The requestor must send only the media item, and its media type, in the request. 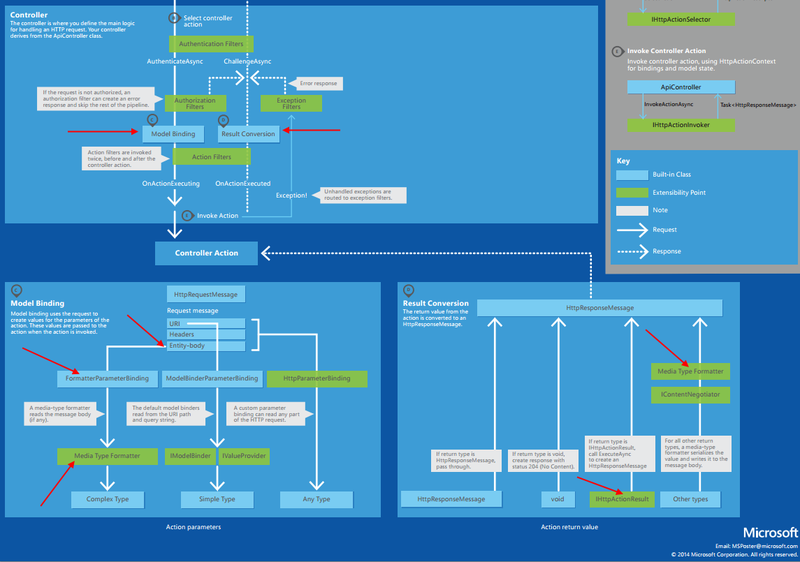 Another code example – MediaUploadAndDeliver – will be studied in our next class/session. The formatter must be registered and initialized when the app starts. Look at the WebApiApplication class, in its Application_Start method, for the statement that does this work. A string for the internet media type (named “ContentType”). Remember the rule above: In a request or response, do NOT package a media item inside another container. Today, we introduced the concepts and techniques for handling internet media types other than JSON and XML.